of Google Search and all of our other products to give users a more seamless and consistent online experience. 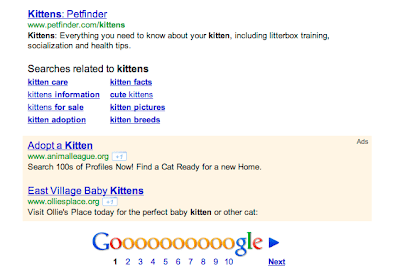 As part of these look and feel changes, we are now introducing new ad placements on Google Search. Starting today, ads that have previously shown to the side of the results may in some cases appear below them. We dynamically optimise each search page, including its ads, to provide the best experience for our users. In many cases, we have found that displaying ads below search results fits better into the user’s flow as they scan the page from top to bottom. On average, this placement performed better than side ads in terms of click-through rate in our tests. If you’re interested in comparing the performance of your ads in the Top positions versus all other positions, you may use the “Top v Side” segment. With this launch, all side, bottom and experiment impressions will now be classified as "Other" so you can more easily see how your top ad placements perform against placements on the rest of the page. In the coming weeks, “Top v Side” will be renamed to “Top vs. Other”. Visit the AdWords Help Centre to learn more about ad positions. Over the past few months, we’ve been updating the design and experience of Google Search and all of our other products to give users a more seamless and consistent online experience. 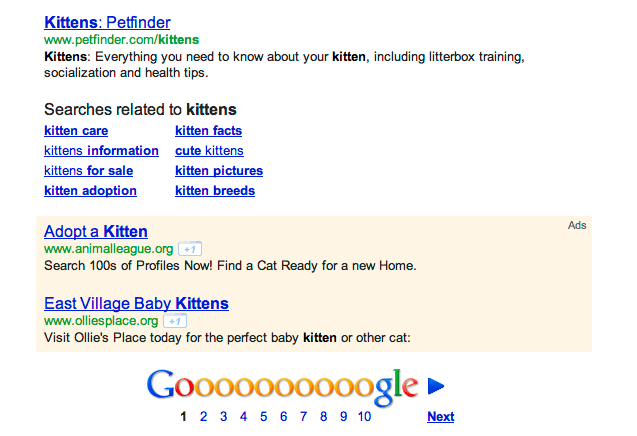 As part of these look and feel changes, we are now introducing new ad placements on Google Search.